Home » Posts » From the President » A New Day for Pets is Here! A New Day for Pets is Here! The Humane Society of Missouri is setting a new standard in the care of companion animals with the opening of the Best Buddy Adoption Center and Animal Medical Center of Mid-America in Maryland Heights, Missouri. The highly visible and easily accessible location features innovative animal housing, a state-of-the-art Integrated Pain Management Center, unique architecture and a colorful, airy, welcoming atmosphere. The pioneering vision was brought to life by Kathy Warnick, president of the Humane Society of Missouri, who sought to create a first-of-its-kind facility that combines animal rescue and sheltering, veterinary services and humane education programs in a facility transforming and elevating the animal welfare industry. The two-level, 44,000-square foot building is situated on a two-acre property at the intersection of Page Avenue and Schuetz Road. It has the capacity to hold more than 400 animals, an increase from the previous Maryland Heights location, which could hold just over 200 animals. The new facility is set apart by its unique architecture, including a custom pyramid skylight, along with an eye-catching exterior color scheme and striking ground-to-roof animal graphics. The Best Buddy Adoption Center welcomes visitors into an airy, colorful and expansive atrium. People interact with adoptable pets showcased in Pet Penthouses, the Cozy Canine Wing, Companion Animal Lane, Pawprint Parkway and Cat and Kitten Condos. Kennels and cages feature tempered glass fronts promoting maximum people and animal interaction while preventing the spread of communicable diseases. Multiple Get Acquainted Rooms allow potential adopters to safely and comfortably interact with animals in a more personal setting. Separate intake, triage and treatment, isolation, grooming and animal holding areas allow for the highest level of animal care while inhibiting the spread of diseases. The Animal Medical Center of Mid-America, nationally accredited by the American Animal Hospital Association, offers the latest in preventive, diagnostic and surgical treatment and care for private veterinary clients. It features a new concept in veterinary care with the Integrated Pain Management Center, one of only a few centers of its kind in the United States. The Integrated Pain Management Center utilizes the most up-to-date equipment, including an underwater treadmill, stance analyzer and laser therapy to provide high-tech pain diagnosis and treatment. Three surgery suites are available for dental care, advanced procedures to correct serious medical conditions and spay/neuter surgeries. 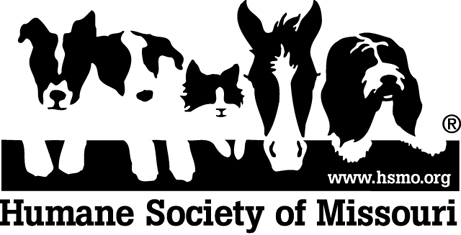 Proceeds from the Animal Medical Center of Mid-America benefit the animals rescued and cared for at the Humane Society of Missouri shelter locations in St. Louis City and Chesterfield Valley, as well as the new facility in Maryland Heights. The new Humane Society of Missouri Best Buddy Adoption Center and Animal Medical Center of Mid-America in Maryland Heights, Mo. were made possible by individual, foundation and corporate donations to the $16 million New Horizons Capital Campaign conducted by the Humane Society of Missouri over the past 4 years. ← 70 and Over? Don’t Take Rover!